In order to address its rapidly aging society, the Japanese government has enacted a variety of measures since the start of the millennium, mostly related to the health care system. A more pressing matter is housing, since so many elderly people will be living on their own compared to the past when extended families more commonly lived together. In this regard, the authorities have lagged behind their counterparts in other developed countries, where the idea of nursing homes and other specialized residences for seniors have been available for decades. It wasn’t until 2000, when the kaigo hoken (nursing-care insurance) law was passed, that the government took a real interest in nursing homes. As part of the law, the central government provided assistance to startup businesses in the field of senior care, including the construction of facilities. 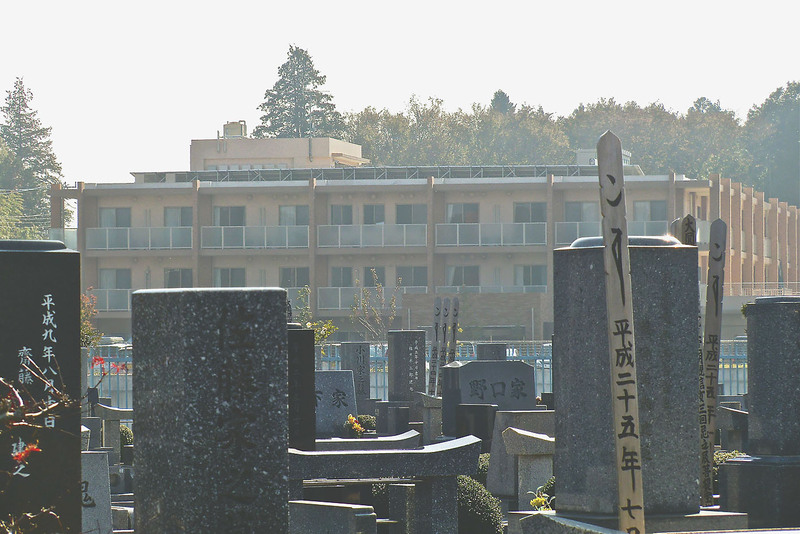 As a result, nursing homes became a growth business, and as with all new endeavors there were many problems the authorities didn’t sufficiently plan for, including high-profile scandals involving false financial reporting for licensing purposes, as well as safety problems, such as the fire that killed 10 residents in a Gunma Prefecture nursing home in 2009. Because of its small size, that facility was not required by law to have sprinklers or even fire alarms. Japan has hundreds of these small nursing homes, most of them built in the past 15 years, which take advantage of cheap land in remote areas. Local governments in more populous regions often transfer seniors with low incomes to these nursing homes because the ones in their jurisdictions don’t have enough room. This means those seniors are being forced to relocate to unfamiliar places because they can’t afford care where they live. Matters have improved in recent years, but the system remains complicated. As with all lifestyle-related transactions, the more money you have to begin with, the more numerous your options. Private nursing homes in large cities and suburbs are open to anyone who can pay for them, but the price can be high. Often there is a nyūkyokin (moving-in fee) that can be anywhere from ¥5 million to ¥100 million. These fees are treated as a kind of deposit. A portion, up to 20 percent, is automatically taken when the new resident signs a contract, and over the years the rest of the fee is treated as depreciation, depending on the kind of contract. If the resident leaves the facility, an amount proportionate to the period of residence is retained and the remainder returned to the individual, but in most cases “leaving” means dying, in which case the balance goes to the person’s heirs. The resident should read the contract carefully, because in some cases he or she does not have a right to remain in the facility if its owners go bankrupt. Also, in recent years more of these retirement homes are not charging any moving-in fees because more seniors are refusing to pay them, but in such cases monthly rent is higher. Units in such facilities can range from a simple bedroom to a full apartment with bathroom and kitchen, and meals are optional. Then there’s the matter of “care,” which is charged according to needs. The monthly rent increases considerably depending on the resident’s health. Since every person above a certain age can take advantage of the nursing-care insurance system, even residents of expensive nursing homes receive payments that will go to their care depending on their grade of health as assessed by the local government. 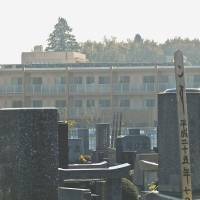 Obviously, money can be made from such facilities, and an increasing number of foreign-investment funds are buying up existing nursing homes in Japan. In addition, many established companies, such as the restaurant chain Watami and the semi-public national housing-corporation, UR, are getting into the “old-people’s home” business. Growth is considered an almost sure thing, since the baby-boom generation is approaching 70, and retirement condos are one of the few excellent residential real estate investments in Japan. The value of a retirement condo in or around a major city is almost guaranteed to go up over time. The majority of Japanese, however, are expected to opt for public or semi-public nursing homes, which are increasing in number but not fast enough to keep up with demand. The government says that some 400,000 seniors are currently waiting for spaces in public facilities to be vacant so that they can move in, but non-government organizations tend to report that the situation is not that desperate, since the majority of these seniors are still healthy enough to live on their own, so “waiting” is a relative term. Public nursing homes can be divided into two general categories: residence and facilities. Residence homes only provide room and board. There are no care-giving services, so if the resident eventually does require some help down the road and remains in the home, he or she will have to have a caregiver visit from outside. Some homes cater for both care and residence, like assisted-living facilities in the United States or Europe. The individual can be moved from the residence part to the facility part, though costs will undoubtedly go up as a result. The amount of nursing-care insurance payments a senior receives depends on the assessed grade, with 1 requiring no medical care and 5 requiring a great deal. The individual settles the difference between the received payment and the fee charged by the home. Some resident nursing homes do provide what they call “life support service,” but this usually just means an attendant stops by on occasion to make sure the resident is OK. No actual care is provided. If a person in a resident home becomes chronically ill or starts showing signs of dementia, the home may ask him or her to leave. Most facility homes are designated as tokubetsu rōjin hōmu, or special old-people’s homes. Basically, these are public facilities for seniors who don’t require hospitalization but still need some ongoing medical treatment, which means they can receive nursing care and rehabilitation as needed. According to new health ministry guidelines, seniors who remain hospitalized for three consecutive months must be moved out, presumably to such homes where they can receive the same care, the idea being that normal hospitalization is an unnecessary drain on the insurance system. In these homes, residents don’t pay rent if they share a room. Local governments also provide special facilities for seniors on welfare, including persons with mental or physical disabilities. So-called “care houses” are often programs that attract elderly welfare recipients who are given a room and sometimes meals in exchange for signing over their welfare payments. These are popular because being old and being on welfare are two strikes against anyone looking for a place to live. Outside of dedicated old-people’s homes there are also group homes, where elderly people who are healthy have live-in staff who cook and clean for them. There is also kōreisha jutaku (rental housing for old people), meaning private apartments set up by companies especially for seniors to meet their specific needs, but they usually don’t include care facilities, which require special certification. Obviously, there are many grades and types of residences for seniors, and local governments should be able to assist anyone who is looking for the best situation for a loved one or even themselves. Only five years ago the term “tokubetsu rōjin hōmu” conjured up images of dingy buildings and seniors confined to beds, but now you can find bright, sparkling-clean facilities with lots of activity, though they still tend to be located in remote areas, so residents are limited in terms of shopping and recreation. Japan has a ways to go in making its elderly as comfortable and happy as possible in the last stages of their lives, but it’s getting there.